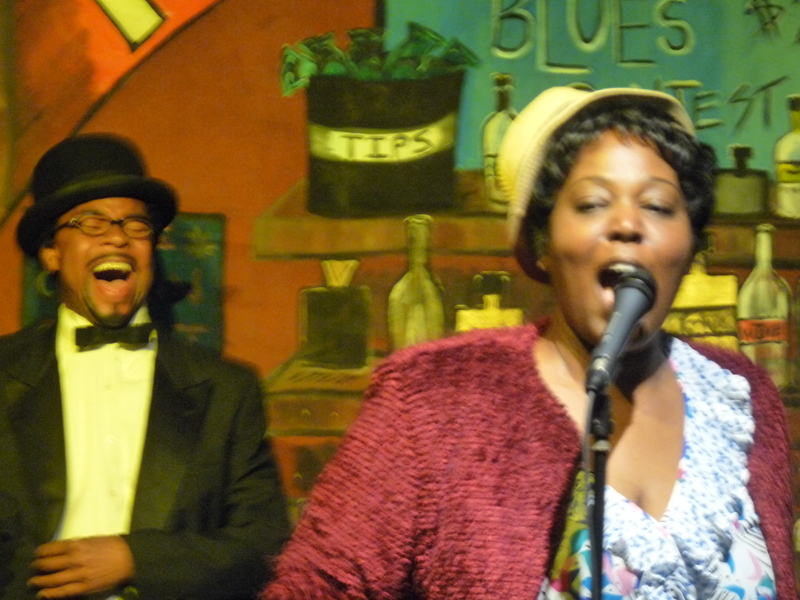 Big Mama & Bardu Ali at the Juke! Howlin’ Blues & Dirty Digs opened on Sunday, June 8. 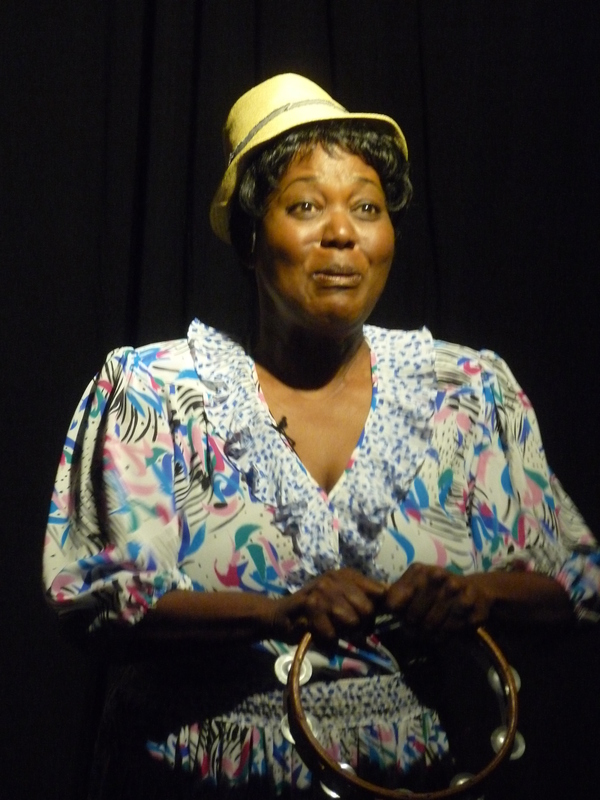 The star of the play, Ms Jewell Tompkins IS Big MAMA. One of the first thing you notice as she moves into the spotlight, she is a full-figured woman, but not the hulking six footer Big Mama was at the time. Even ballooning up to 300 pounds at one point in her hey day. The one thing that is clear, Jewell Tompkins is a consummate thespian. She attacks the character by not trying do the obvious. a tortured soul, Willie Mae had many personalities. She showed the dignity of this blues-woman and how she had to do what she could to survive in a Man’s business. 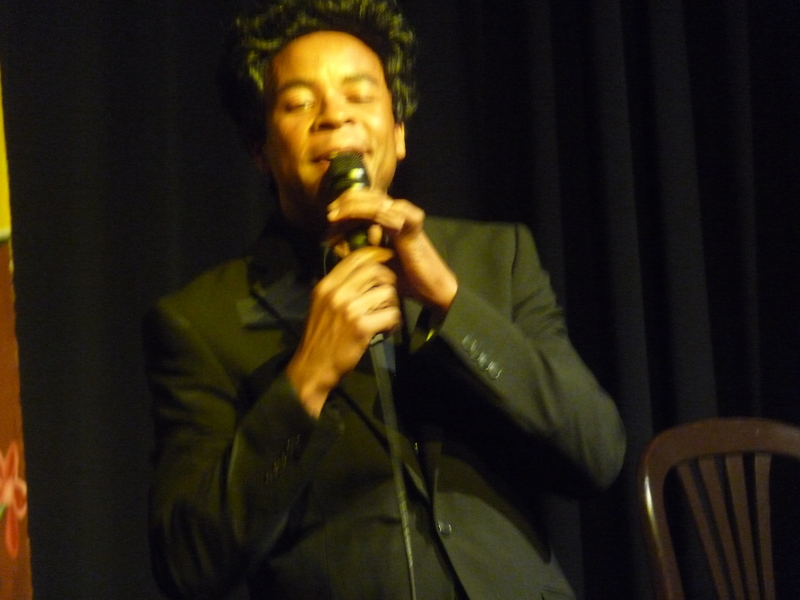 Even that was hard Because, “Singing the Blues” was a “Black thing” in the 40s & 50s. Many times she was up against some of the best blues people in the country. Muddy Waters, Lightning Hopkins, Lead Belly, Howlin’ Wolf, Mississippi John Hurt just to name a few. I was able to liken her life story to another great musician with a bitter/sweet life, Charlie Parker. I was totally entertained from start to finish, and at times ,a little misty-eyed, because of her demise, by prejudice , racism, sexism, alcohol, and felonious Men. She had to grow up so fast, she never had time to be a kid. Her education came in the back of Juke joints, boarding houses, and back seats of cars. “I don’t want your Money, I want my Money”..she balled up her fist and used all 300 lbs of brute force on his unsuspecting body, until he submitted and gave up the money.. Lol! “I did what I had to Do!” She had a Rep, for not “taking no mess off of nobody”. I again thought Carla Clark’s directing was on point . Not going for the obvious and relying on the craftsmanship of the actors. many scenes were again reflecting what her “Inside” was all about. Mostly when Big mama had to confront nefarious men about Money, relationships,etc. Her father was a real mean man ,who abused her brother and her in their childhood, it was probably at the seat of her many problems. The singing by Tompkins is sublime, and at one point, reminded me of a young Aretha-like sound in her approach to the blues.. You feel the church presence in her life and that resonated into the character.. 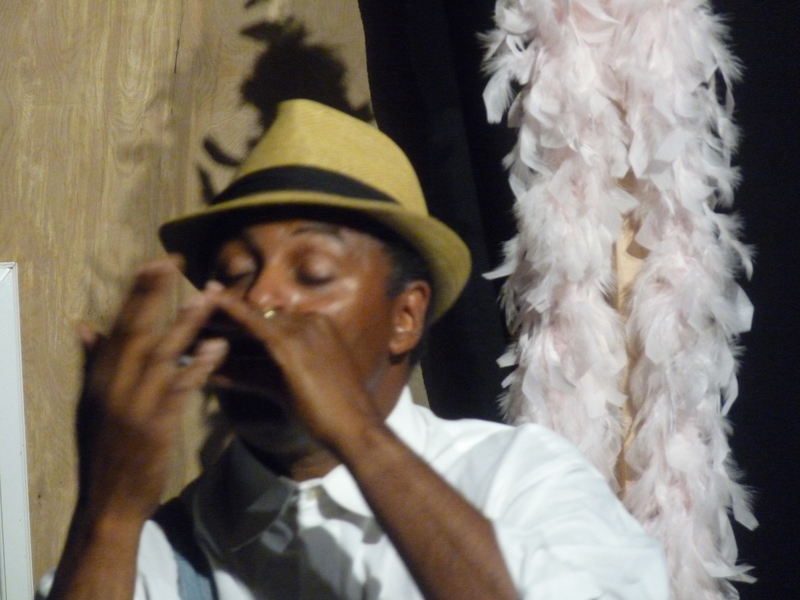 I often found golden nuggets of acting skills in both cast in general, but especially in Jewell Tompkins performance. This play is too good to be missed, too good to not be recognized again by the L.A. drama critics when they hand out the awards for Best Play & Best actress. 1950s LA Calif music sceneBardu Aliblack theaterBluesharmonica and drumsJjazzjohnny Acejohnny OtisLos angelesstageThe barrelhouse clubWatts Calif. Previous Post GET YOUR PhiL! One Incredible Weekend, 3 Shows-One Price!! In a nutshell….It is simply magnificent!